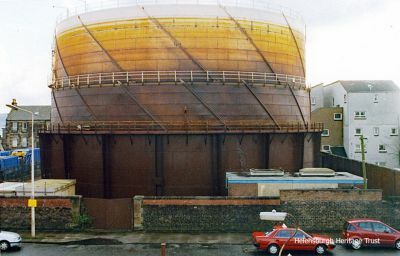 The gasometer, built in 1928, stood between East Clyde Street and East Princes Street opposite Helensburgh Central Station. It was decommissioned in 2012 and demolished in the summer of 2014, to be replaced by a car park. Photo by Kenneth Crawford.